We looked at the top 10 Stethoscopes and dug through the reviews from 52 of the most popular review sites including Test Prep Nerds, My Access Health, The Nerdy Nurse, Offers.com, Registered Nurse RN, MFCC 4 Health and more. The result is a ranking of the best Stethoscopes. 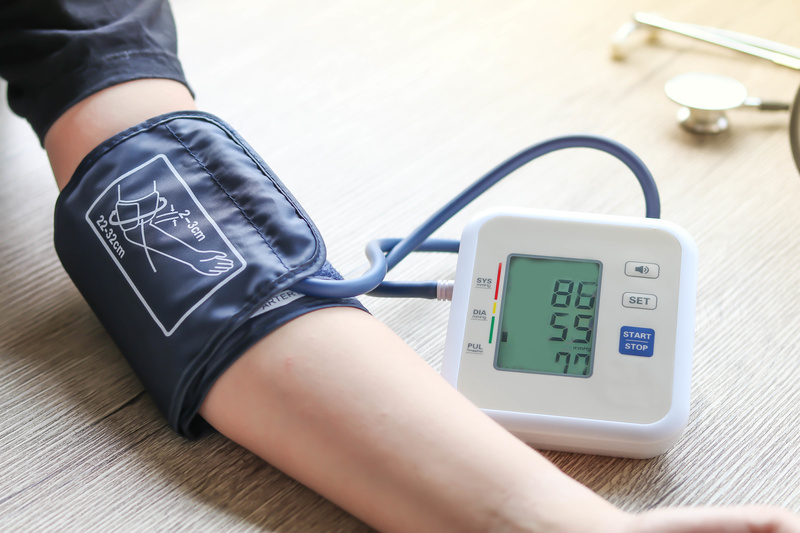 Our experts reviewed the top 10 Stethoscopes and also dug through the reviews from 52 of the most popular review sites including Test Prep Nerds, My Access Health, The Nerdy Nurse, Offers.com, Registered Nurse RN, MFCC 4 Health and more. The result is a ranking of the best of the best Stethoscopes. 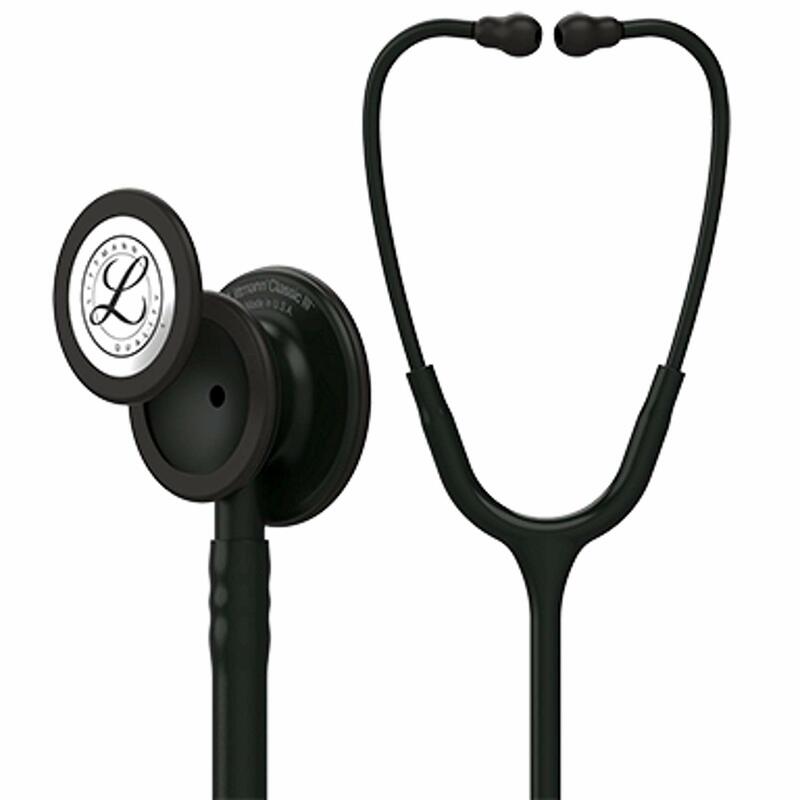 You'll get a high acoustics rating and accuracy from the 3M Littmann Classic III Monitoring Stethoscope. One of this stethoscope's best features is that it has a separate side for adults and children. So, you can use it on everyone in your household. You can also tweak the pressure you're putting on the chestpiece to better hear lower and higher sound ranges. DWYM Health & Wellness Experts plus BestReviews, My Access Health, Test Prep Nerds. Along with user reviews from Amazon and Walmart.
" Offers almost every feature medical professionals need, including clear acoustics, adults/pediatric sides and tunable diaphragms"
"Not as comfortable as other stethoscopes. Ear pieces sometimes fall off." With the highest acoustic rating, the 3M Littmann Cardiology IV Diagnostic Stethoscope is the best stethoscope for top-quality sound. This stethoscope's design helps you hear even the toughest-to-detect issues. As an added bonus, you'll get a no-chill rim on the chestpiece to keep your patient comfortable during detection. DWYM Health & Wellness Experts plus My Access Health, Test Prep Nerds, MFCC 4 Health. Along with user reviews from Amazon and Walmart.
" The Cardiology IV is also one of the best, most accurate stethoscopes, and 3M Littman rates its acoustic performance at 9." "The Cardiology IV tends to be an overkill for users that are not doing any physical assessment task"
The 3M Littmann Lightweight II S.E. Stethoscope lets you hone in on both low and high frequencies by merely adjusting the pressure you're placing on the chestpiece. The teardrop shape makes it easy to slip this stethoscope beneath a blood pressure cuff, but it's more of an entry-level stethoscope. The low price makes it a great choice for families on a budget. "Diaphragm is metal/resin composite; not meant for professional use." The MDF Instruments Premium Dual Head Stethoscope's design seals out ambient noises, which make it easier for you to listen. A stainless steel design means it's built to last for many years. Clear earpieces make it easy to see if you need to clean it. DWYM Health & Wellness Experts plus BestReviews, Offers.com, Best Reviews Guide, The Nerdy Nurse. Along with user reviews from Amazon and Walmart.
" Made of high quality stainless steel"
We identified the majority of the stethoscopes available to purchase. 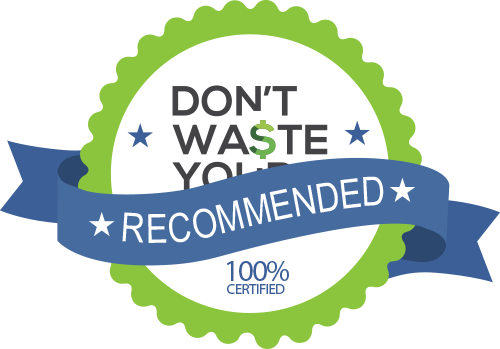 Reviews from our DWYM category experts and analysis of some of the most respected sources including: Test Prep Nerds, My Access Health, The Nerdy Nurse, Offers.com, Registered Nurse RN. Not as comfortable as other stethoscopes. Ear pieces sometimes fall off. The Lightweight II SE is not as featured as some of the other, more expensive options, but is still very high-quality, especially for its price range. Diaphragm is metal/resin composite; not meant for professional use. Medical professionals use stethoscopes to monitor your health, particularly your heart and lungs. If you head to the doctor when you’re sick, chances are the practitioner will use a stethoscope to see what’s going on internally. But you don’t have to wait until you visit a doctor to use a stethoscope. If you have children or an elderly adult in your life, you may want to keep a stethoscope on hand for those quick checks. There are plenty of good quality stethoscopes that you can use at home without medical training. The most popular type of stethoscope used today is acoustic, which picks up soundwaves from your body, vibrating the surface of the diaphragm on the chestpiece. That vibration makes its way to the ear tips, which brings the sound to the listener’s eardrums. When you’re looking at stethoscopes, you’ll often see acoustics mentioned as a top benefit for that very reason. Acoustics play an important role in how effective your stethoscope will be. Another feature you’ll often see mentioned is “tunability.” This refers to the diaphragm on the chestpiece. Newer acoustic stethoscopes feature a tunable diaphragm, which puts the bell-shaped piece of metal together with the diaphragm on one side of the chestpiece. Technology is also built into the chestpiece that can record sound and provide it as a digital file. These stethoscopes also have noise-canceling features in the earpieces to make it easier to get a reading. Of course, along with all of the technical details, you’ll want to know about the comfort of the earpieces themselves. Although you won’t be wearing it for hours on end, you’ll still need earpieces that will fit snugly enough so that you can listen without distraction. Additionally, it’s important to look for a stethoscope that is flexible enough to provide accuracy whether you’re using it on a child or adult. If you need a stethoscope now and can’t wait a couple of days for your order to come in, don’t worry. You can put your own together while you wait. Plus, it makes a fun craft project for children. First, grab a paper towel roll and a balloon. You then cut the end off the balloon and roll it over one end of the paper towel roll, then press the roll, balloon side down, on the chest of your patient. If you don’t have a balloon handy, no problem. Just use a piece of aluminum foil over the top of the tube, fasten it in place with some duct tape and use that side against the chest of your patient. Obviously, it will lack the features of a stethoscope, but it’s a fun way to teach the science of stethoscopes to the young people in your house. Your first stop when shopping for a stethoscope is to check out the acoustics ratings. The 3M Littmann Cardiology IV Diagnostic Stethoscope has the highest rating, a 9, followed by the 3M Littmann Classic III Monitoring, at an 8. The 3M Littmann Lightweight II S.E. Stethoscope rates a 6 for acoustics. The 3M Littmann Cardiology IV Diagnostic Stethoscope is built specifically to catch even the most subtle issues, such as heart murmurs or pulmonary anomalies. As valuable as great acoustics are, it won’t help if it’s overwhelmed by surrounding noise. The MDF Premium Dual Head Stethoscope features a design that insulates the noise transmission and keeps out ambient sounds. If you’ll be using your stethoscope on children, you can’t go wrong with the 3M Littmann Classic III Monitoring. It has an adult and pediatric side, making it easy to use it on everyone in your family. As you become more advanced in using a stethoscope, you’ll want a device that can give you the full range of sounds. The 3M Littmann Classic III Monitoring and 3M Littmann Lightweight II S.E. Stethoscope let you easily change the sounds you’ll be able to hear. Use light pressure on the chestpiece to hear low-frequency sounds, then increase the pressure if you want to get sounds at the higher range. If you’ve ever been surprised by a cold stethoscope, you know the experience can be pretty uncomfortable. The 3M Littmann Classic III Monitoring, 3M Littmann Cardiology IV Diagnostic Stethoscope and 3M Littmann Lightweight II S.E. Stethoscope all feature non-chill rims on the diaphragm to keep the experience as comfortable as possible. For those planning to use the stethoscope under a blood pressure cuff, the 3M Littmann Lightweight II S.E. Stethoscope features a teardrop shape that makes it easy to slide beneath. Build is important if you want to make sure your stethoscope will last over multiple uses. The MDF Premium Dual Head Stethoscope is made from high-quality stainless steel. The acoustic tubing is also durable, resisting cracks. As a bonus, the entire stethoscope is also latex-free. Stethoscopes range in price from $50-$200. For the highly rated acoustics of the 3M Littmann Cardiology IV Diagnostic Stethoscope, you’ll pay between $100 and $200, but the 3M Littmann Classic III Monitoring, 3M Littmann Lightweight II S.E. Stethoscope and MDF Premium Dual Head Stethoscope all retail for less than $100. The 3M Littmann Classic III Monitoring is on the higher end of the lower-priced stethoscopes, but the extra features may make it worth it. A good diagnosis is about more than what happens on the chestpiece end of things. There are also the two earpieces, each fitting into one of your ears. It’s important that the earpieces fit comfortably and snugly so that you can hear clearly. The 3M Littmann Cardiology IV Diagnostic Stethoscope includes earpieces that can be adjusted upward or downward by simply squeezing the ear tips. They’re designed to conform to a variety of ears for the best sound. As valuable as a powerful diaphragm can be, it can also lead to problems, especially for newer users who are still trying to get the hang of things. The 3M Littmann Cardiology IV Diagnostic Stethoscope’s diaphragms can be overly sensitive, which can lead to interference if you don’t dial it correctly. If you want to use your stethoscope in a clinical setting, it’s important to note that the 3M Littmann Lightweight II S.E. Stethoscope, although lightweight and comfortable for all-day wear, is considered an entry-level stethoscope. You may want to stick with a more advanced stethoscope, despite the lower price. Hygiene is an important factor in a stethoscope. The earpieces on the MDF Premium Dual Head Stethoscope are clear in color to make it easier to see when they need to be cleaned. For the Stethoscope category, we analyzed 52 of the most popular reviews including reviews from Test Prep Nerds, My Access Health, The Nerdy Nurse, Offers.com, Registered Nurse RN, MFCC 4 Health and more. The result is a ranking of the best Stethoscopes.